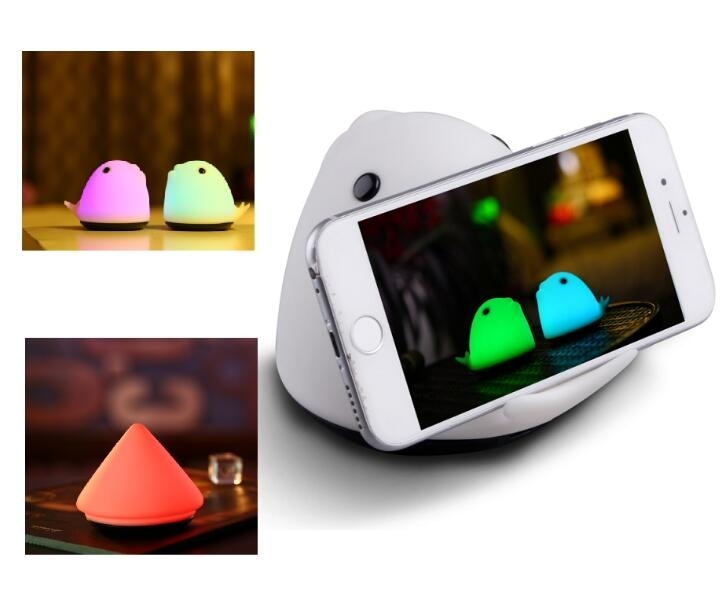 The colorful led night lamp with phone holder is built-in sensitive vibration sensor and 8 LEDs. There are 8 kinds of light color can be changed by taping gently. Long working time and easy to use. It is a perfect Christmas gift / birthday gift / anniversary gift for children or your friends. Package: 1 pc/white box, 80 pcs/ctn, 35 lbs/ctn.